Geographical distribution All the Major Cities like Mumbai, Delhi, Bangalore, Hyderabad, Pune, Chennai. In between the 1950's and 1980's the Health care facilities and personnel increased substantially, but gradually due to the fast population growth, the number of licensed medical practitioners per 10,000 individuals had fallen in the 1980's to 3 per 10,000 from the 1981 level of 4 per 10,000. There were approximately ten hospital beds per 10,000 individuals in 1991. Primary health centers are majorly the cornerstone of the rural health care system. In the year 1991, India constituted about 22,400 primary health centers, 11200 hospitals, and 27,400 dispensaries. Such facilities were the part of a tiered health care system which funnels more difficult cases into urban hospitals while attempting to provide routine medical care to the vast majority in the countryside. Primary health centers and sub-centers would majorly rely on trained paramedics to meet most of their needs. Indian healthcare industry operates in both of the private and public sectors. The public sectors are healthcare system consists of facilities run by the central and state governments. The facilities are provided freely or at subsidized rates to lower income families in rural and urban areas. However, further the Indian healthcare industry is going through a growth phase due to its healthy economy. As the country's middle class continues to grow this industry's growth will increase. India's ever-growing middle class are able to afford quality healthcare. 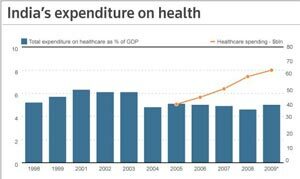 With such an increased ability to pay for better healthcare, the demand for healthcare services has grown from $4.8 billion in 1991 to $22.8 billion in 2001-2002. Today 50 million Indians are able to afford western medicine and over 150 million have annual incomes of more than 1000 US dollars. Indian health care industry growth story is moving ahead neck to neck with the pharmaceutical industry & the software industry of the nation. There has been much done in the health care sector for bringing the improvement like till date, approximately 12% of the scope offered by the industry has been tapped. 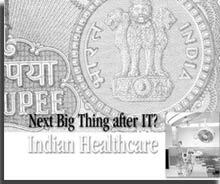 In the years to come the health care industry in India is reckoned to be the engine of the Indian economy. Today the Health care industry in India is worth $17 billion and there are anticipation & expectation of it to grow by 13% every year. The health care sector consists of health care instruments, health care in the retail market, hospitals enrolled to the hospital networks. etc. Indian healthcare Industries include systems like ayurveda and homeopathy which are increasingly gaining prominence overseas. Another major area for investment in India is the research industry of the Health Care. In India there is tremendous prospects with a huge talent pool and the rise of biotechnology and bioinformatics. India is a rising and expanding destination for medical tourism. With affordable medical expenses and a sound technology in place goes good with the growing sector which would be bode well for the healthcare industry in India. Indian healthcare industry comprises of hospitals and allied sectors which is projected to grow 23 % per annum to touch US$ 77 billion by 2012 and according to the current estimated size of US$ 35 billion. The Industry has registered a growth of 9.3 % between 2000-2009, as compared to the sectoral growth rate of emerging economies such as China, Brazil and Mexico. There would be increase in number of public and private healthcare facilities which are expected to propel demand for the industry, accounting for another US$ 6.7 billion. Indian Government Expenditure on health care is the highest amongst all the developing countries. The expenses of this industry comprise 5.25% of the GDP. There are even chances that the health care market could experience a hike and attain a figure ranging between $53 to $73 billion five years later. Which would in turn reflect an increase in the gross domestic product to 6.2%. 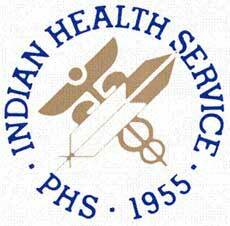 The Indian Health Care Industry earns revenues accounting for 5.2% of gross domestic product. Private players have made significant investments in setting up of the private hospitals in cities like Mumbai, New Delhi, Chennai and Hyderabad. There is emergence of latest medical technology and have created a competitive environment. The government's share in the healthcare delivery Industry is 20 % while 80 % is in the private sector. The Emergence of corporate hospitals has led to increased professionalism in medical practices and use of hospital management tools. Indian Health Care Industry provides employment opportunities to as many as 4 million people in the health care segment or other related sectors catering to the needs of the medication. India has become one of the favorite for health care treatments which is owing to the vast differences in medical expenses in western countries. Due to the Indian progressive nature of the health care sector several foreign companies are intending to even invest in the country. Health Care jobs are considered to be one among of the most noble career options which is known to be the single largest profession all around the world. There are numerous medical complexities and the need for advanced medical care have necessitated the recruitment of qualified and experienced medical professionals in this field such as doctors, physicians, medical assistants, radiologists, cardiologists, anesthesiologists, and surgeons. There are immense opportunities for Doctors, Resident Doctors, Surgeons, Physicians, and Physical Therapists & Dentists. Vital information on Hospitals are provided by employment agencies who help people register as healthcare workers, Medical recruiting agencies, travel & resettlement agencies and local recruiting. As per the Department of Industrial Policy and Promotion (DIPP), the drugs and pharmaceuticals sector has attracted FDI worth US$ 1.70 billion between from the year 2000 to the year 2010, while hospitals and diagnostic centres have received FDI worth US$ 786.14 million in the same period. Majorly the Indian Health Care Industry and Fortis Hospitals plans to invest US$ 53.7 million and plans to expand the facilities for the pan-India. Columbia Asia Group, which already has six hospitals in the country- Asia's leading hospital chain, plans to ramp-up its operations in India by opening eight more multi-speciality community hospitals with a total capacity of 800 beds by the year of mid-2012. The total investment of US$ 177.1 million for the 14 hospitals. In Hyderabad, the Narayana Hrudayalaya has inaugurated the phase-I of the 5,000-bed health city which is the Hub for the multinational corporations. The company plans to expand its presence to seven more cities to take the total number of hospitals to 14 in the next 2-3 years. Cochlear Ltd plans an Australian medical devices company to set up its wholly-owned subsidiary in India, to provide better patient and product support. In next five years the Company also plans to invest about US$ 15 million. National Rural Health Mission (NRHM) has been launched in the year 2005 by the Government. The main aim is to provide quality healthcare for all and there would be an increase in the expenditure on healthcare from 0.9 % of GDP to 2-3 % of GDP by 2012. According to Union Budget 2010-11 there is an increased allocation for Ministry of Health and Family Welfare from US$ 4.2 billion in 2009-10 to US$ 4.8 billion in 2010-11. The priority of strengthening the PHCs for 24x7- today reported by the States there are 8,755 24x7 PHCs having three nurses each by the government system. In the last two-and-a-half years there are more than 50 lakh women who have been brought under the Janani Suraksha Yojana (JSY) for good institutional deliveries. There are 4,380 para medical staff having been appointed on contract and 6,232 doctors, 2,282 specialists, 11,537 staff nurses appointed on contract in the States which could reduce the human resource gaps in many institutions. IPH standards have been finalized and a first grant of Rs. 20 lakh was made available to all the District Hospitals in the country to improve their basic services, given the increased patient load due to JSY and other programmes.